You might think you already know everything about Mevagissey. But look a little closer and you will find an incredibly active community working all year round. With a wonderful mix of families that have lived in the village for generations and newer residents keen to get involved, Mevagissey has a great sense of togetherness. Fiercely proud of their working and growing fishing industry, the ocean sets the tone for much of the food on the restaurant’s menus, the produce sold and the theme of gifts in the shops. Stepping away from the stunning scenery of the harbour, there is always plenty for all ages to get involved with. Those in the area wanting to try their hand at something new can choose from clubs and groups offering gig rowing, bowls, football, darts and snooker among many others, not to mention the bursting programme at the Jubilee Hall. Meanwhile, the Kings Arms has undergone a refurbishment and events and specialised classes are run from the pub – and a group of positively minded residents and supporters have formed a Community Action Group to brighten up areas that need a bit of extra attention. 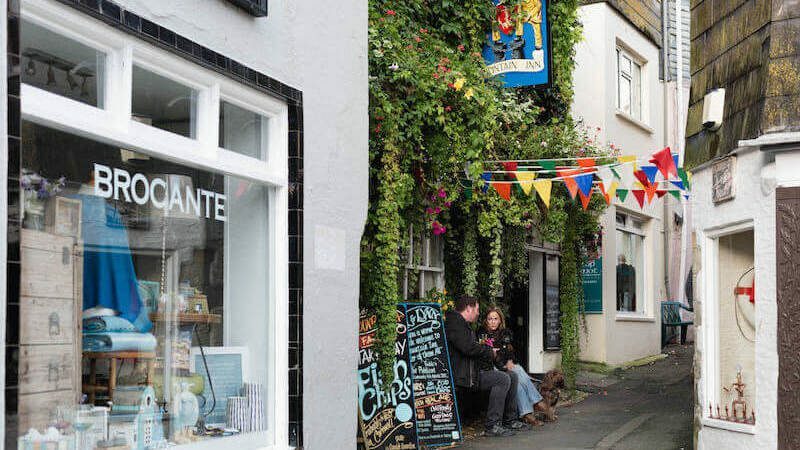 The village is also home to Mevagissey Feast Week which sees a programme of events bringing the whole community and hundreds of visitors together. With a host of exciting exhibitions, demonstrations, live music sessions and have-a-go events, there is something to bring a smile to your face. Proving that Mevagissey is a destination for locals and visitors alike all year round, the village have their very own Community Advent Calendar. Based on a Swedish concept, a programme of events is put together from 1st December through to Christmas Eve and each day a door opens to reveal what’s on that day, with many events free for all to enjoy. As you might expect, fresh seafood dominates menus in Mevagissey, but all tastes are catered for thanks to the vast choice of eateries on offer whether you’re looking for somewhere to dine in, something to snack on whilst taking in the view or enjoy something sweet. There is even ample shopping opportunity with a mix of national brands and local sellers.